T. J. Newton is an extraterrestrial who goes to Earth on a desperate mission of mercy. But instead of aid, Newton discovers loneliness and despair that ultimately ends in tragedy. 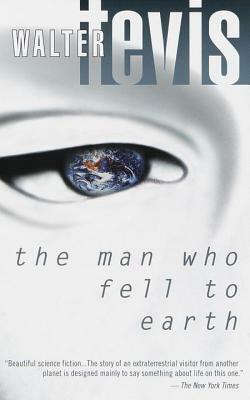 Walter Tevis was an English literature professor at the University of Ohio and is best known for three of his novels, which turned into blockbuster films: The Man Who Fell to Earth, The Hustler, and The Color of Money. His other books include Mockingbird and The Steps of the Sun which appeared shortly before his death in 1984.